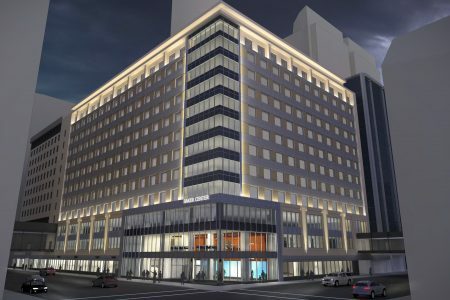 The Investors Building, part of the block-long Baker Center office complex in downtown Minneapolis, is up for some major improvements as the center’s biggest tenant — Wells Fargo — prepares to relocate to its new Downtown East towers. 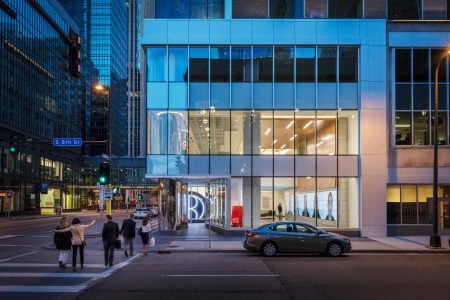 Minneapolis-based RSP Architects is working with the building’s ownership and management team on possible upgrades that include a new entry lobby, common area improvements, exterior glass curtain-wall, and new conference and fitness spaces with a walk-out to a rooftop terrace on the Roanoke Building next door. The improvements are intended to make the 970,000-square-foot Baker Center more competitive in the downtown office marketplace, said Hans Okerstrom, general manager of Baker Center and director of property services for Transwestern. “If you look at what some competing properties have done in terms of investment … we feel to remain competitive in the market we have to follow suit,” Okerstrom said. “We have not received any firm pricing on this. All of this has been conceptual and very ballpark kind of stuff that we are working on,” Okerstrom said. Owned by New York City-based Travelers Cos. Inc., and managed by Transwestern, the Baker Center covers an entire block bounded by Marquette Avenue, Seventh Street, Second Avenue and Eighth Street. Wells Fargo currently occupies about 400,000 square feet in Baker Center, which includes the Baker Building, Investors Building, Roanoke Building and the 730 Building (formerly known as the U.S. Trust Building). Though it’s currently 79 percent occupied, Baker Center is expected to have a lot of space to fill when Wells Fargo moves into its two new 18-story towers within the $420 million Downtown East mixed-used development next year. Okerstrom said the plan is to continue to use the Baker Center as a multitenant office property. Baker Center has a prime location within a few blocks of Nicollet Mall, Minneapolis City Hall and the Hennepin County Government Center, but it is due for some updates. The Baker, Roanoke and Investor buildings were built in the 1920s, and the 730 Building dates to the mid-1960s. Planned improvements include a new conference facility and fitness center on the top of floor of the 13-story Investors Building, 733 Marquette Ave. S., with a walkout terrace on the roof of the 12-story Roanoke Building, 109 S. Seventh St. The Investors Building would also get a new two-story entry lobby on the corner of Marquette Avenue and Eighth Street, and a new glass exterior curtain wall extending to the top floor. In addition, “general common area improvements” at the skyway and first floor are in the conceptual plans, Okerstrom said. The upgrades would be “great improvements to a property that is extremely well-located, and would certainly add value to its downtown location and be a very attractive leasing option,” he said. 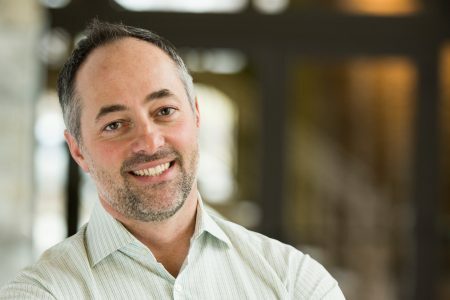 Mark McCary, senior vice president and office specialist for CBRE in Minneapolis, said newer Class A buildings have amenities that tenants typically seek such as larger floor plans, higher-efficiency heating and cooling systems, and faster elevators. Over the past 15 years, he said, the gap has widened between those buildings and the older Class B office properties, which frequently have seen few upgrades beyond standard maintenance and repairs. Owners of Class B buildings, like Baker Center, are grappling with the complicated decision-making of investing significantly in their building to make it more competitive, or making the transition to adaptive reuse. The Foshay Tower took the latter route, for example, when it became the W Minneapolis Hotel. “What do owners of older buildings do to remain competitive in an already competitive office market? That is a question most owners are constantly asking themselves,” McCary said.